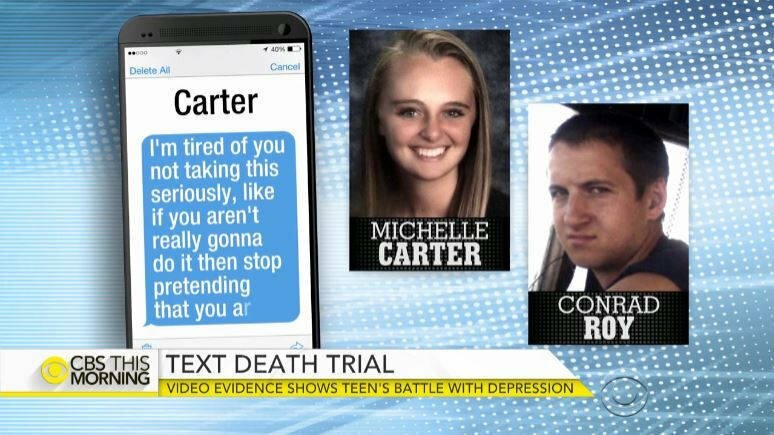 Video evidence shows teen’s battle with depression before Carter sent Roy numerous text messages urging him to commit suicide. Soul Doctor must approach medical astrology as sensitive, intuitive and skillful amateurs rather than as medical professionals. Conrad Roy born September 12, 1995. The month of September is governed by the planet Mercury and by the critical sign of Virgo. He’s a intellectual and powerful investigative mind. Conrad graduated with a 3.88 GPA from High School (ORR) in Mattapoisett. Roy had a history of suicide attempts because he born with Saturn (fear/depression) in Pisces (religions/legal/illegal drugs) Roy struggled with anxiety and depression and had been hospitalized for an acetaminophen overdose at age 17. He may have spent time at McLean Hospital, a Belmont psychiatric facility. As a rule all souls born in September is likely to or liable to suffer from headaches or head injury, eyes and sinus migraine. Roy committed suicide by poisoning himself with carbon monoxide fumes in his truck after the Full Moon or during his unlucky Dragon window dates. To heal your body, mind and spiritual is to avoid religions, science, sports, entertainment, technology, legal and illegal drugs that can hijack human psyche. Sadly fact, her girlfriend Carter had been on Prozac for years before switching to another antidepressant. Antidepressants can cause numbness and psyche infestation. Carter had dreamed of the devil that nightmares are common among people who are on Prozac that left her unable to feel empathy. In Medical Astrology (mental, physical and spiritual health), The signs of the Zodiac represent parts of the body, conditioning qualities through which the planet act, time of the years. The planets affect all the signs in which planet are located, although obviously some more than others. The sign located the part of body where dysfunction is likely to manifest. It could be locate of sign in Cancer (emotion response/ depression / lack of support) or Aries (mental deficiency) It is a chemical imbalance in the brain that makes you unable tolearn or unable to control your emotions. Treatment can help, but Prozac and antidepressant both can’t be cured and can messed up the human psyche. where she born with Saturn (the great malefic) conjunct South Node is badly aspected by Saturn, the Lord of depression and also Dragon Tail (negative) in Aries is self centered with no spiritual valuable ideas involving others to help him out and a low self-esteem. What more, She born with Pluto (destructive/secret deep) in 5th house of love and romance toward to him. She born with Uranus (destructive/shocking/earthquake) in 7th house of relationship with Conrad Roy. Last time, Transit of Mars enter Carter’s 3rd house of communication. Carter sent Roy numerous text messages urging him to commit suicide. Mars rules passion, impatience and impulsive. taught her science / astronomy *medical astrology in classroom as result of lost soul have been conditioned since her childhood and lost the spirit of a cosmic God.